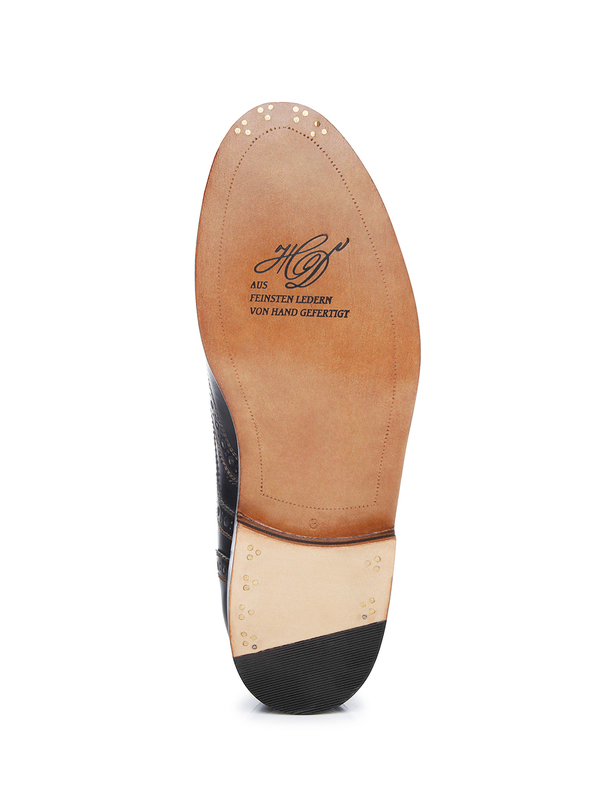 Zürich Last – Narrow Width G This special last features a narrow shape with a gently rounded toe area, lending it a charming, lively feel. 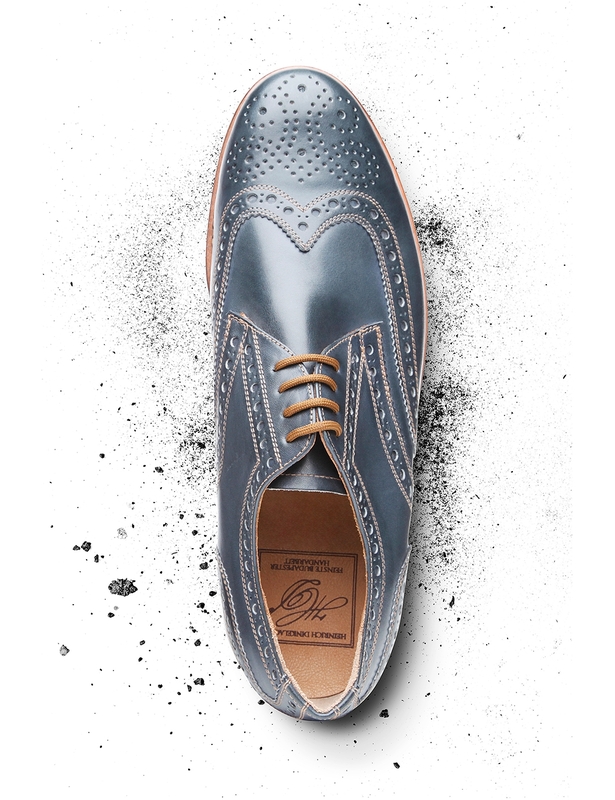 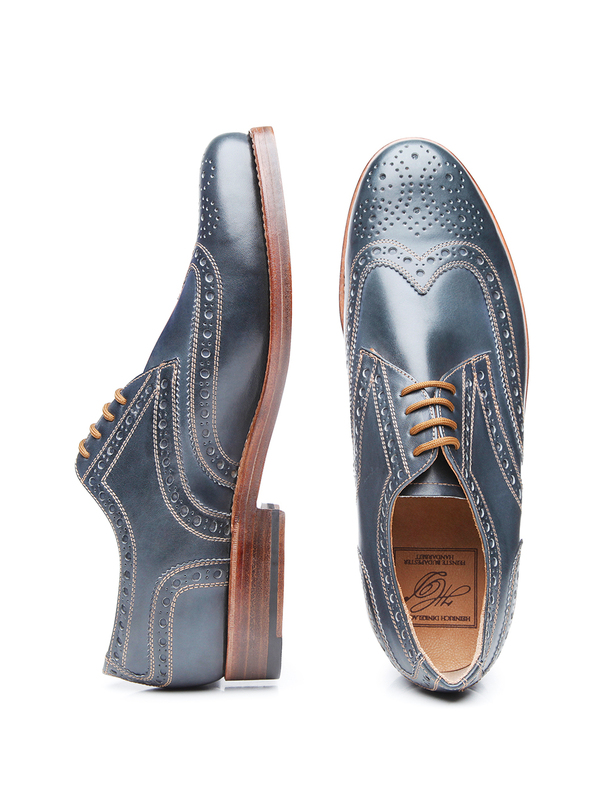 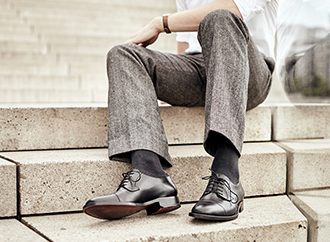 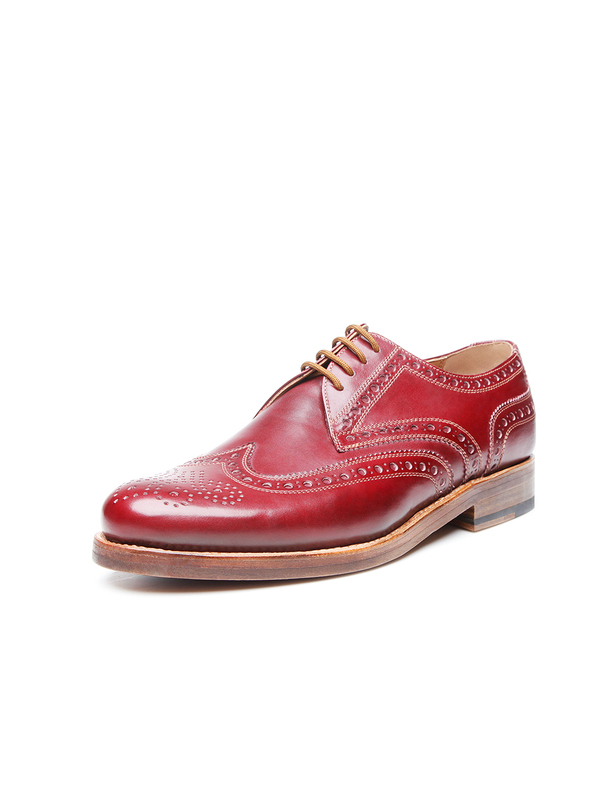 Men with a weakness for modern designs will fall head over heels for this handcrafted, sewn-welted full-leather shoe. 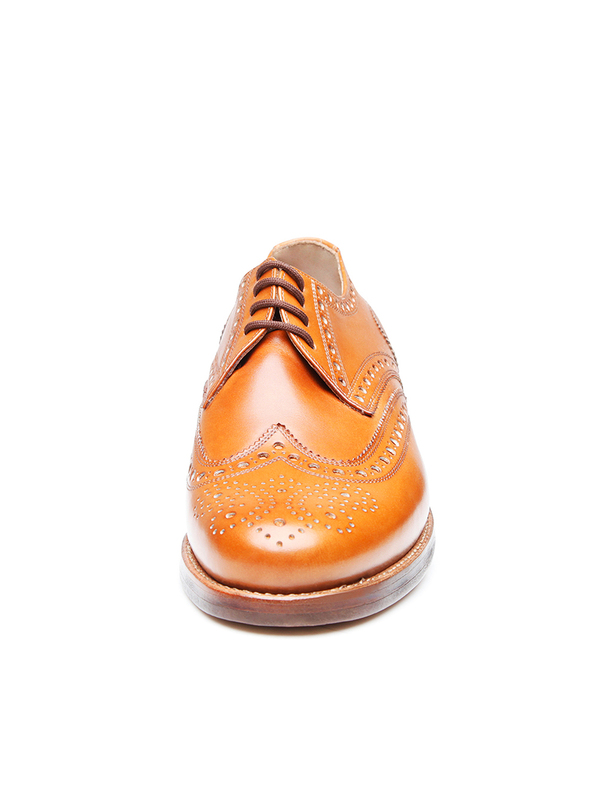 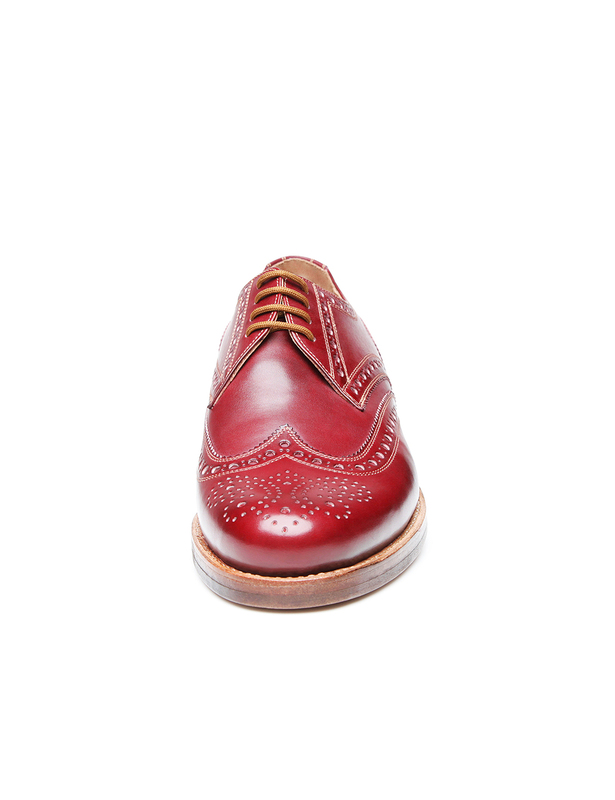 In terms of its basic shaft cut, this is a dynamic full-brogue Derby with open four-eyelet lacing and opulent patterned perforation along the edges of the shaft pieces. 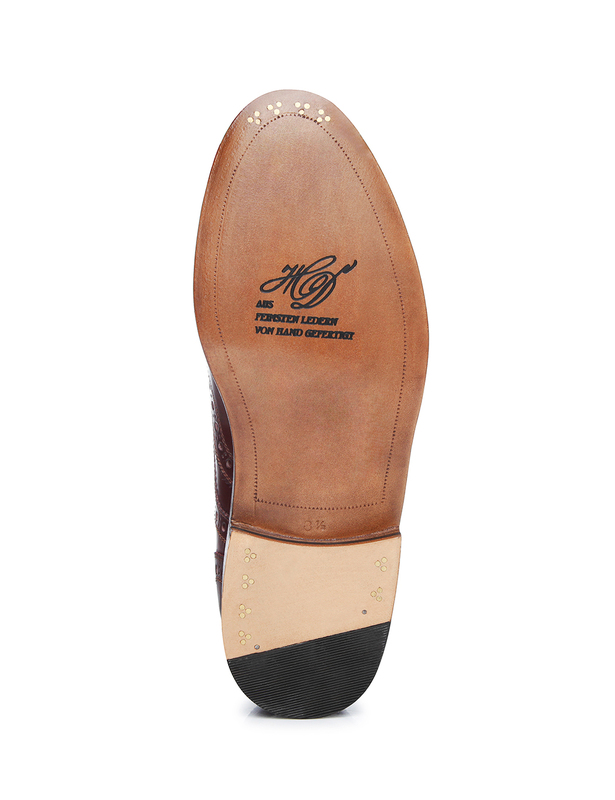 It has been made using the premium shoe manufacturing method. 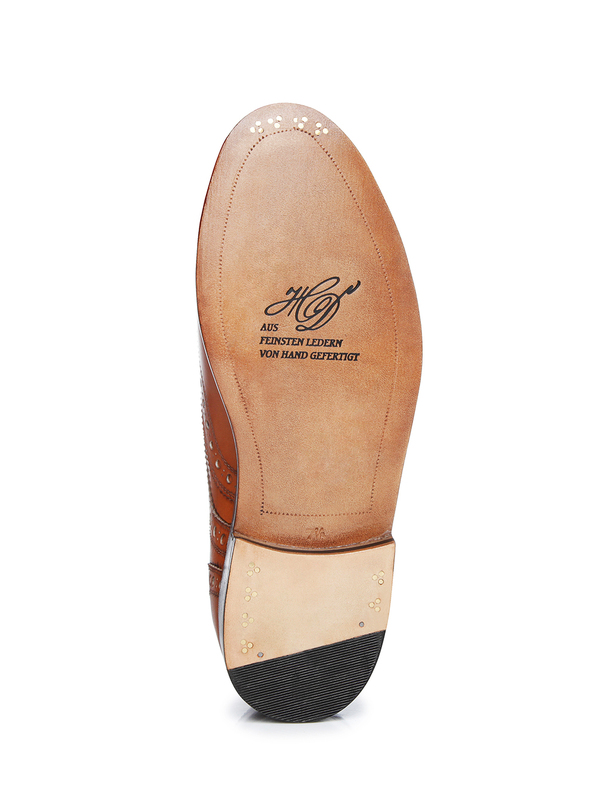 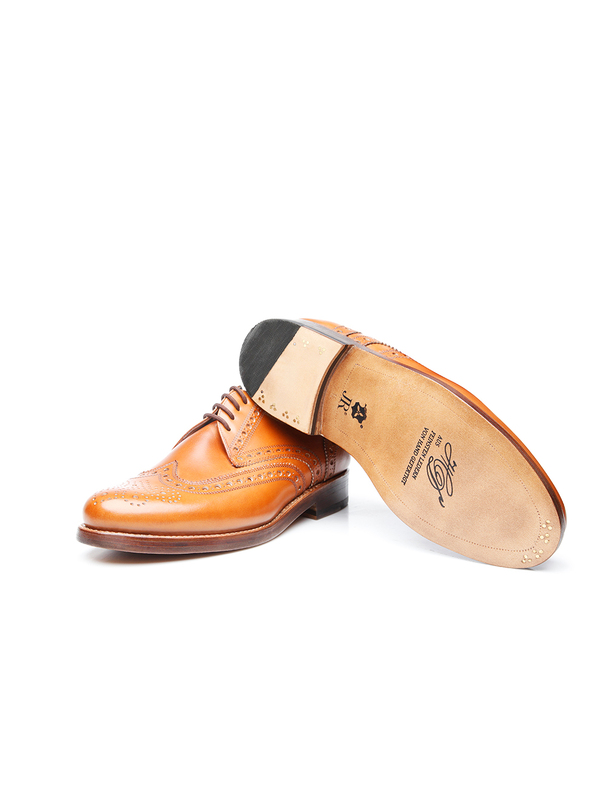 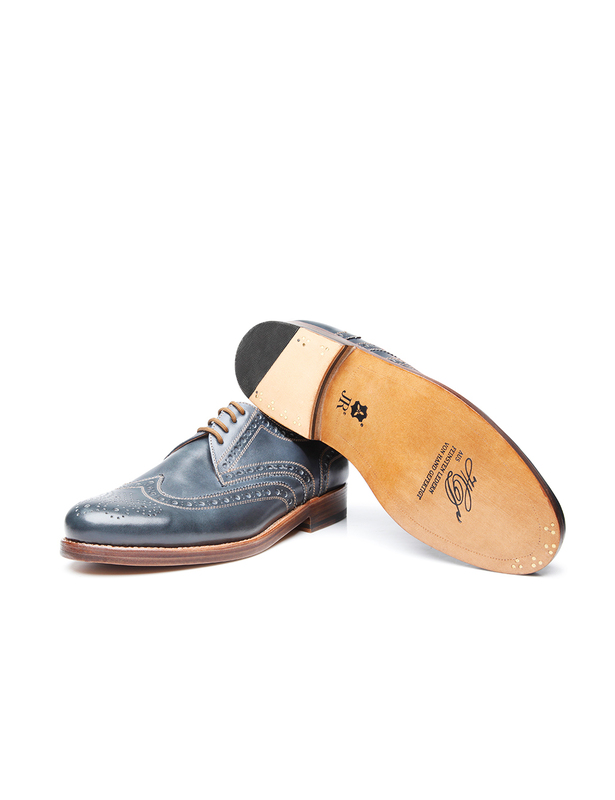 The shoe has been assembled around a slim and elegant Zurich last, and boasts a double leather sole — both of these properties represent nods to classic design. 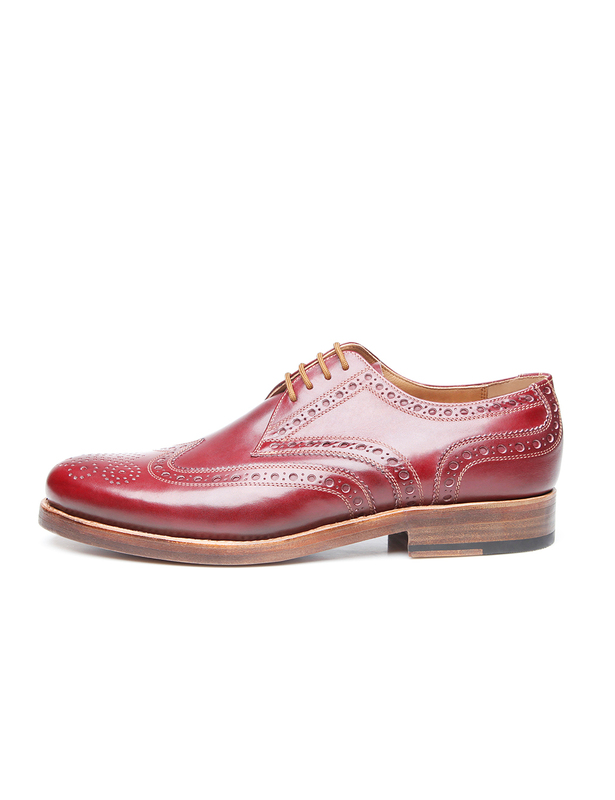 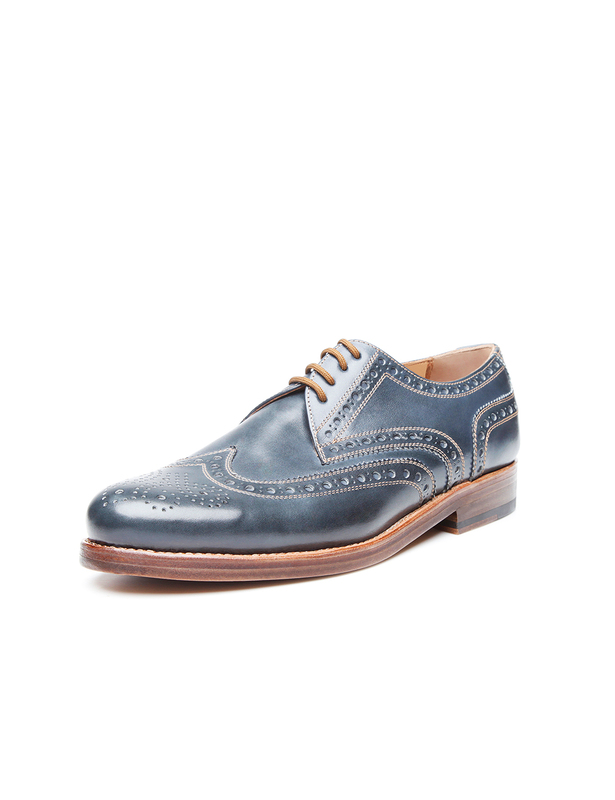 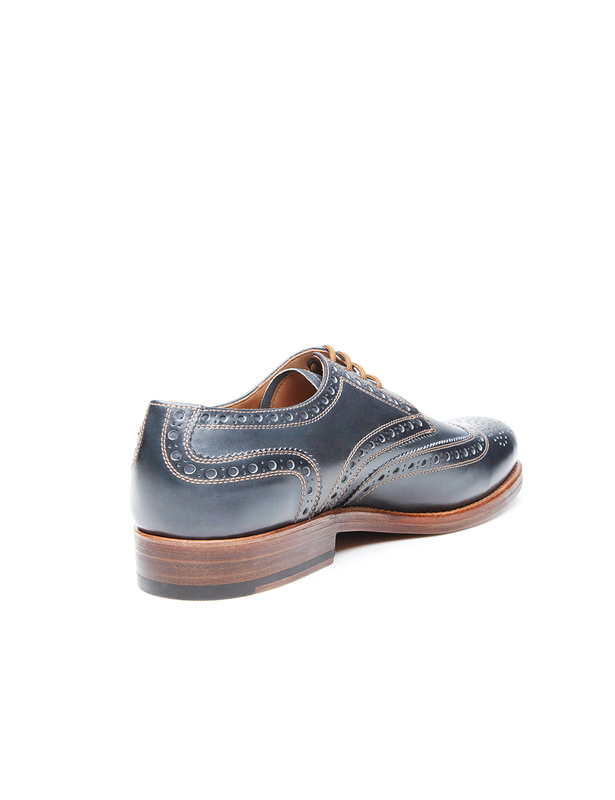 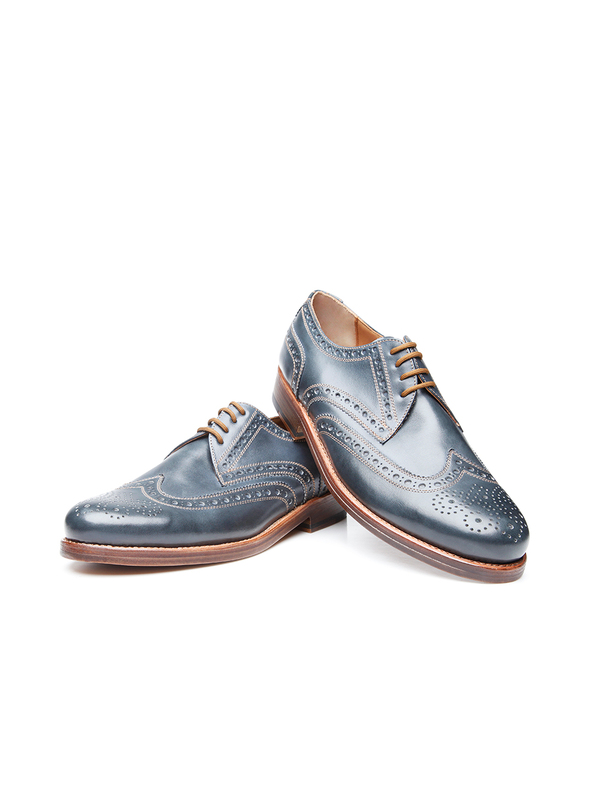 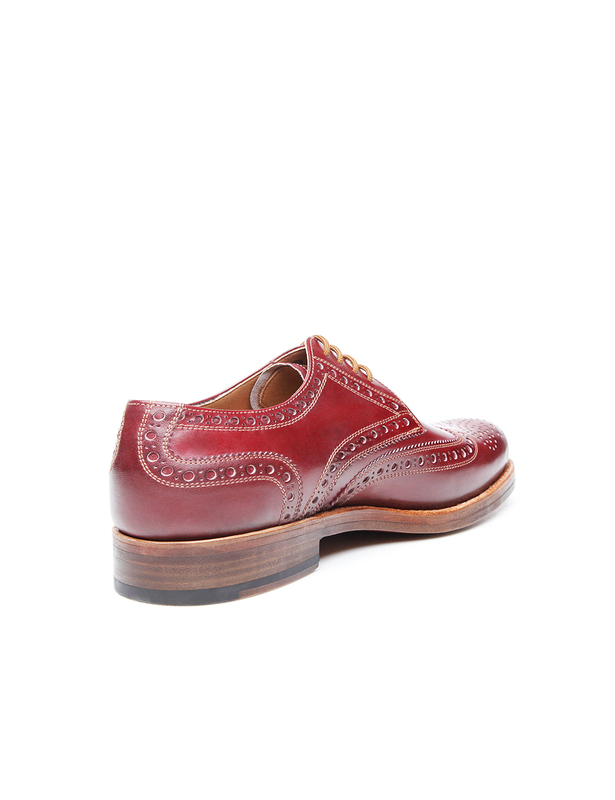 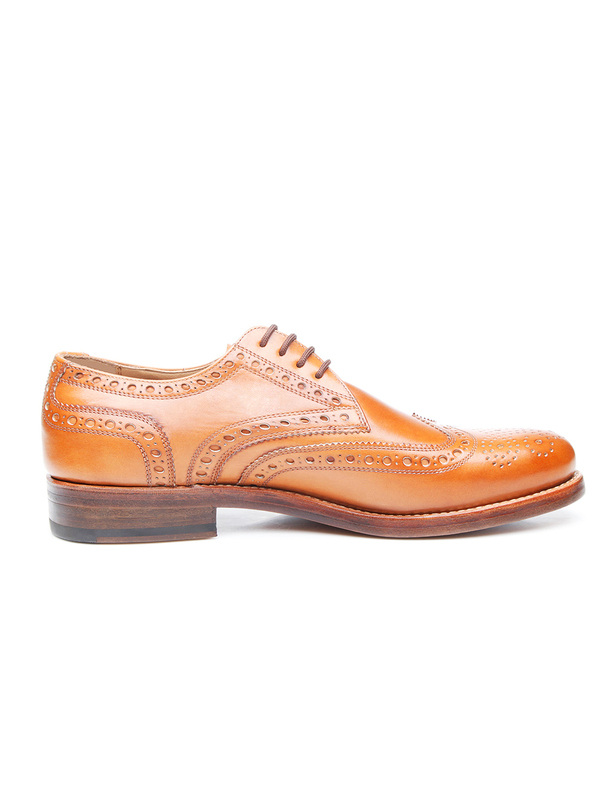 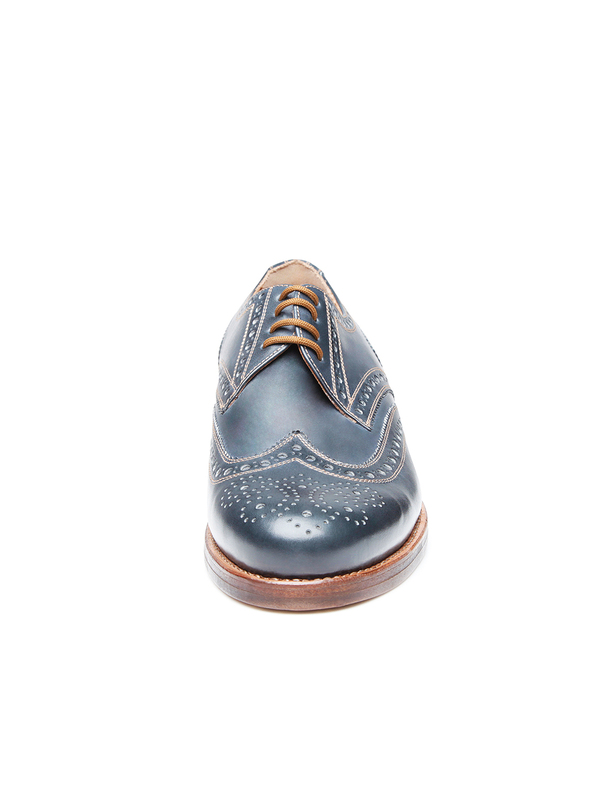 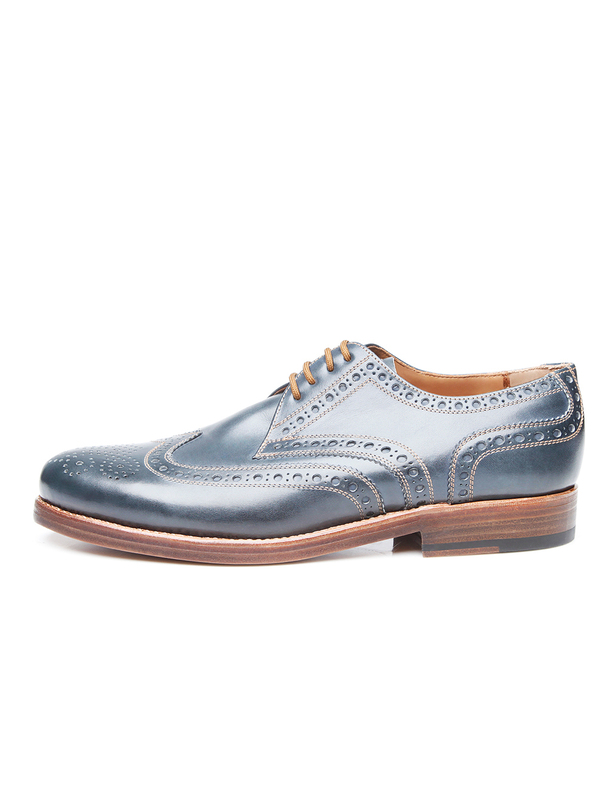 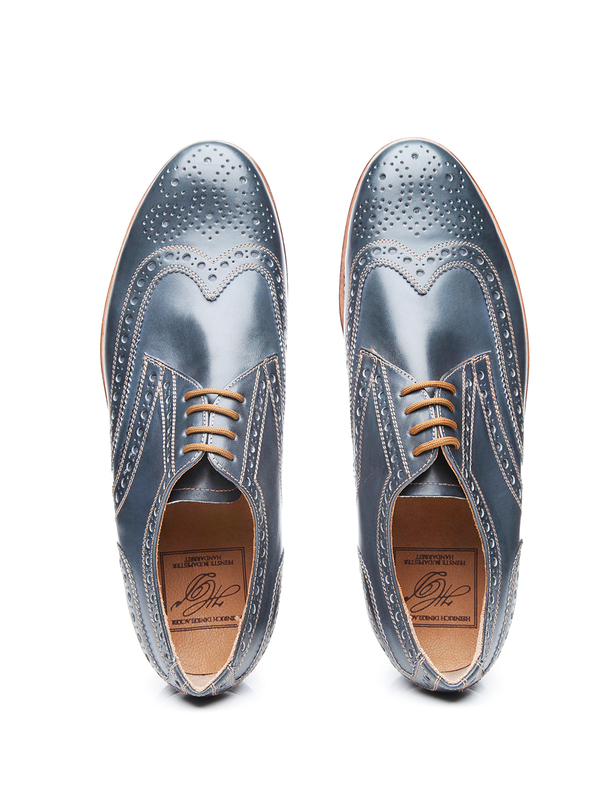 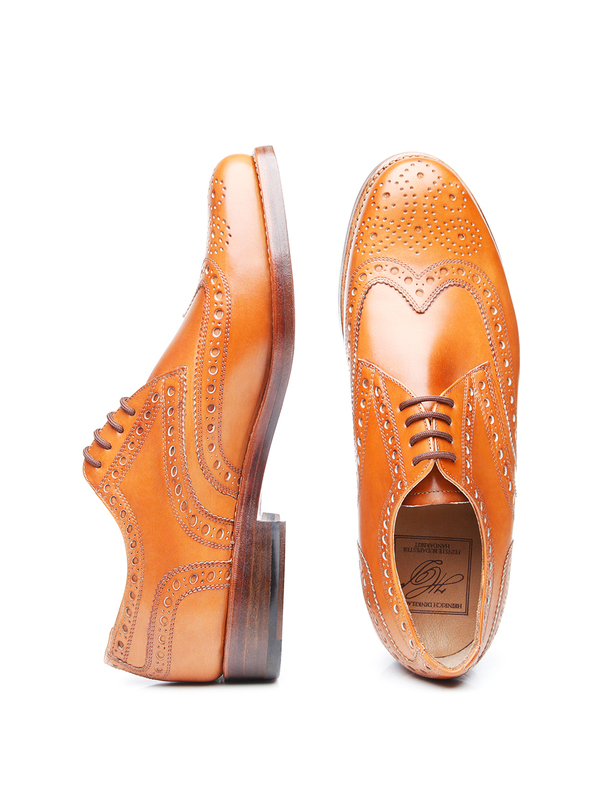 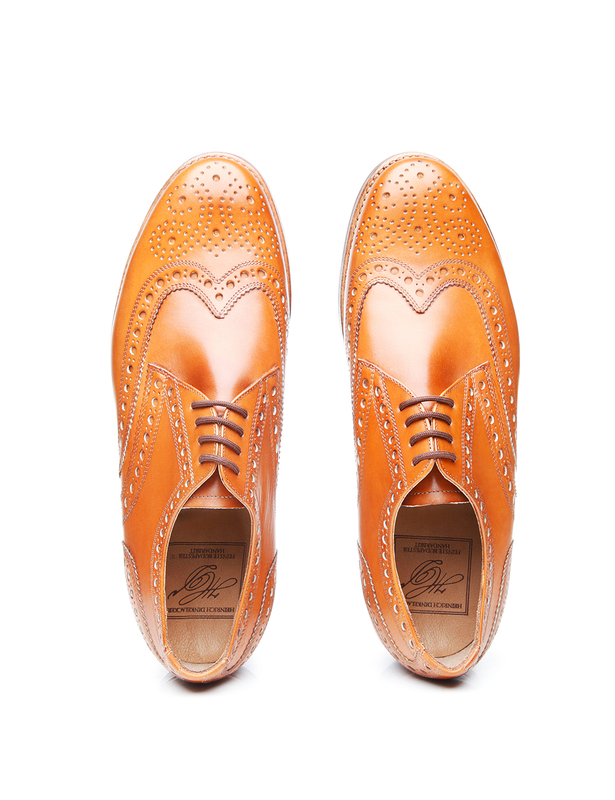 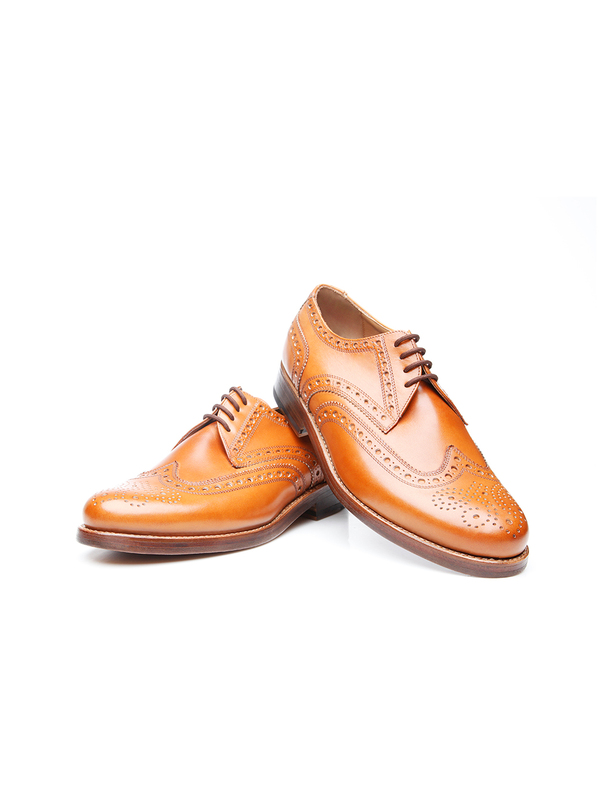 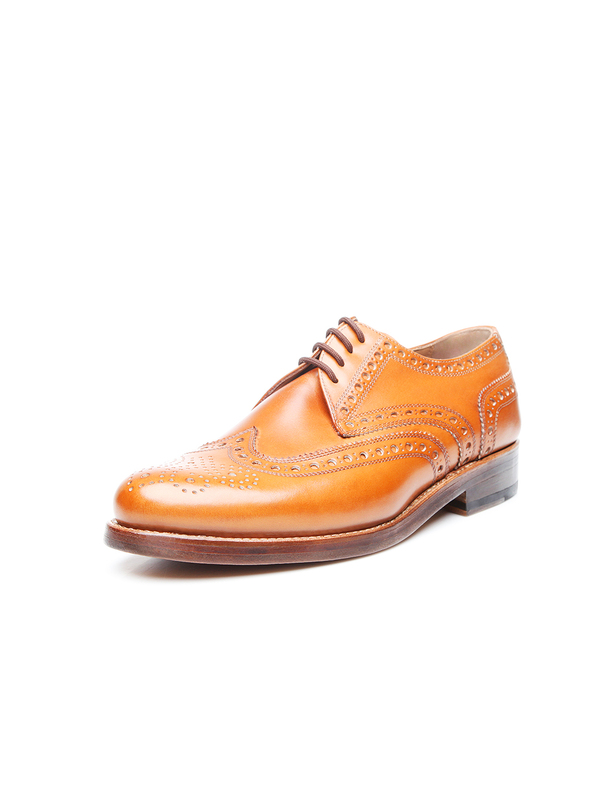 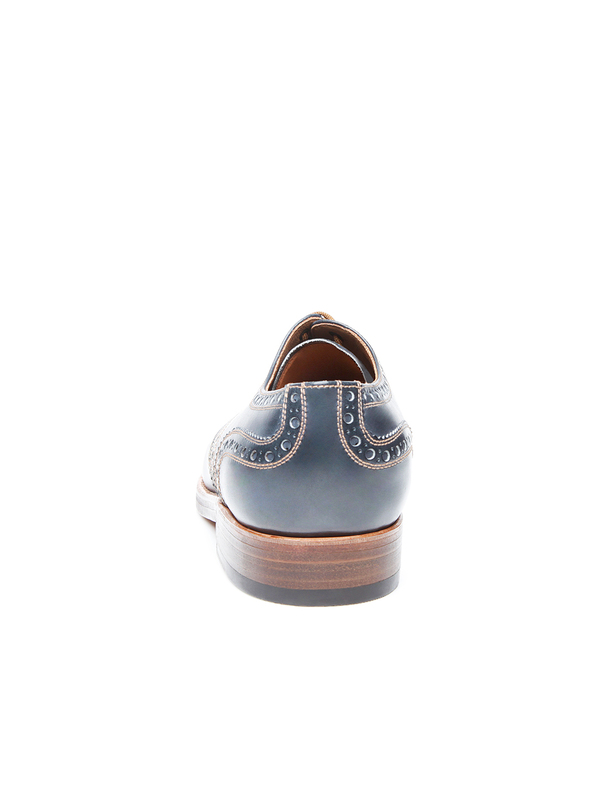 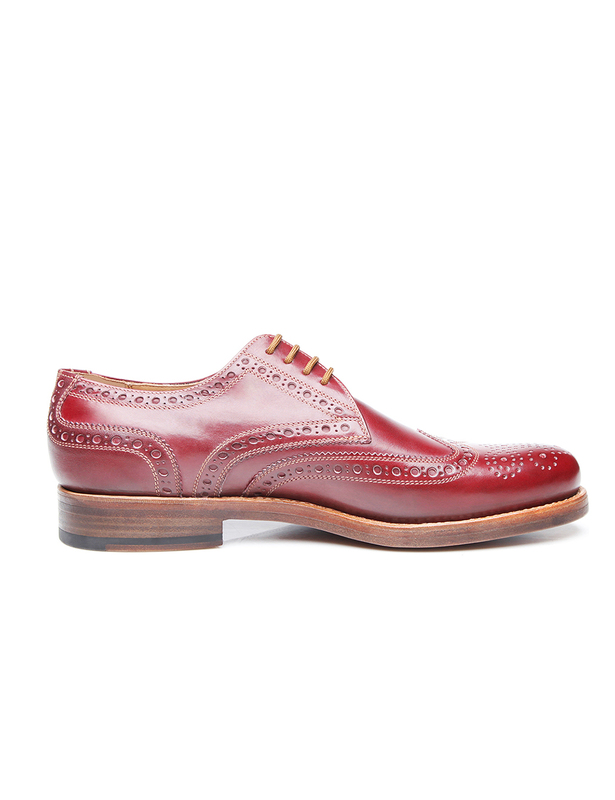 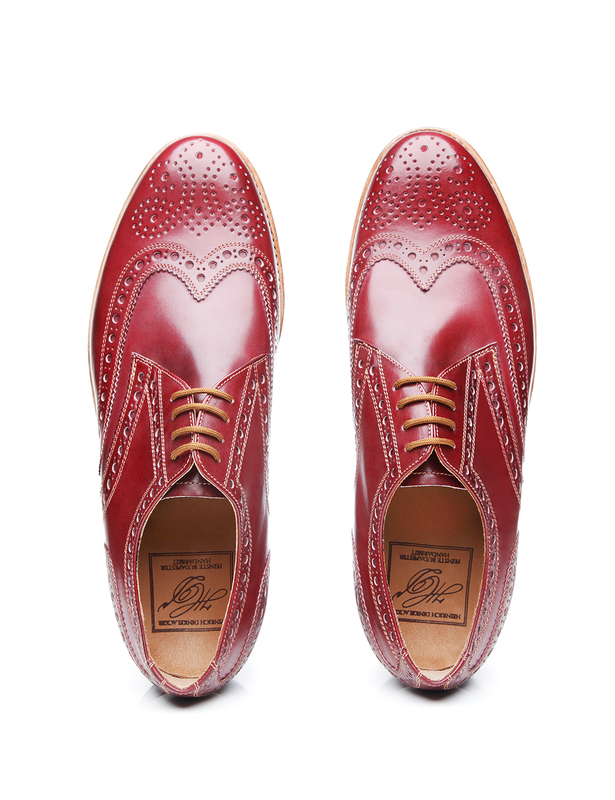 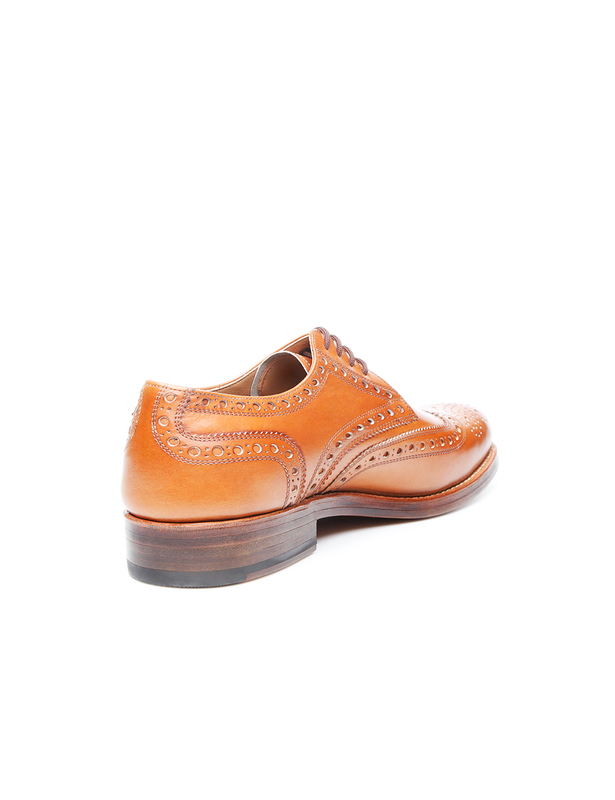 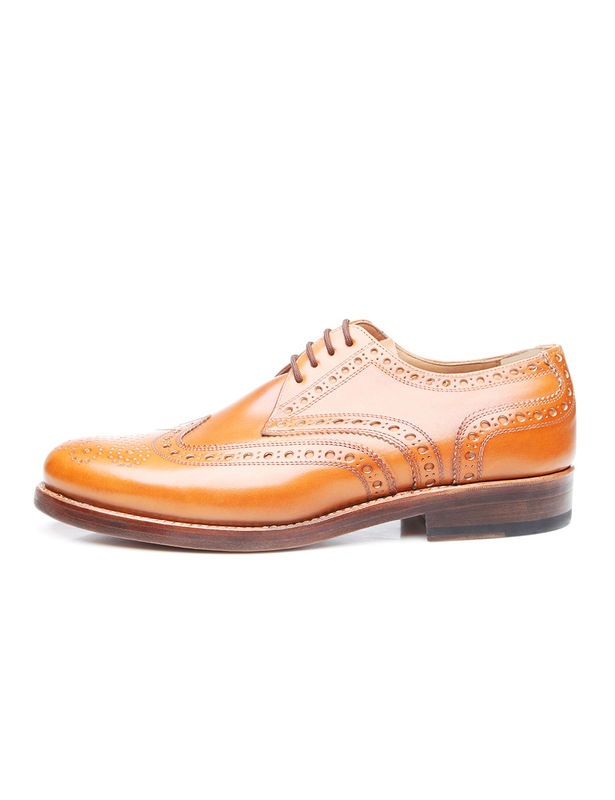 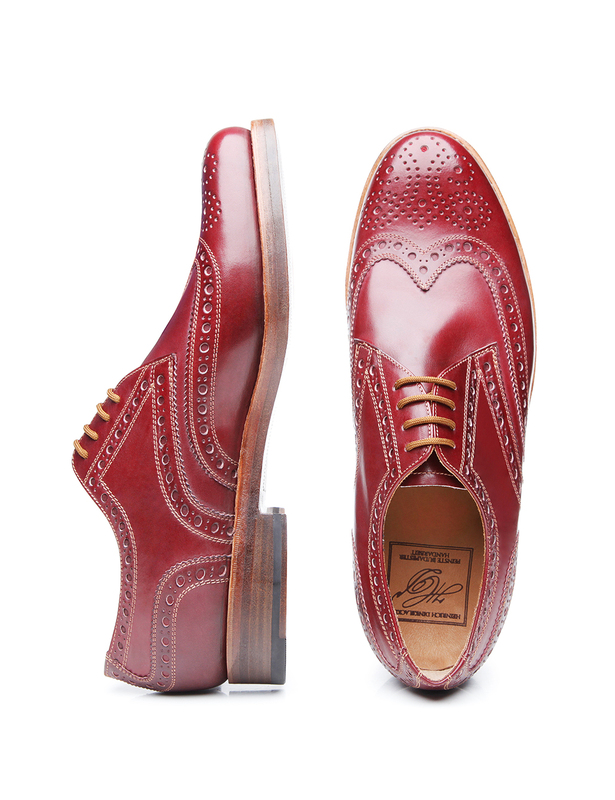 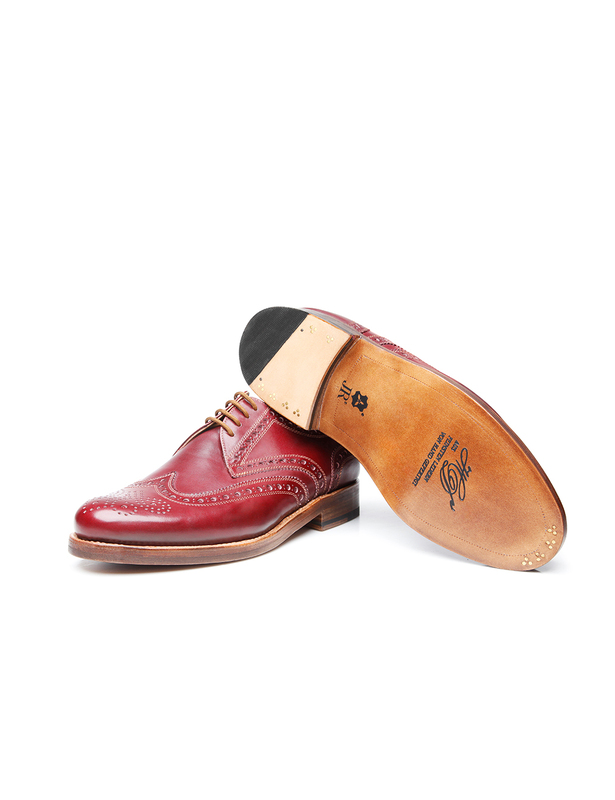 This full-brogue Derby, though, has been made from aniline-dyed calf in your choice of two modern colours, lending it a stylish and elegant charm. The full-brogue Derby is available in blue, ‘Nut’ and bordeaux.